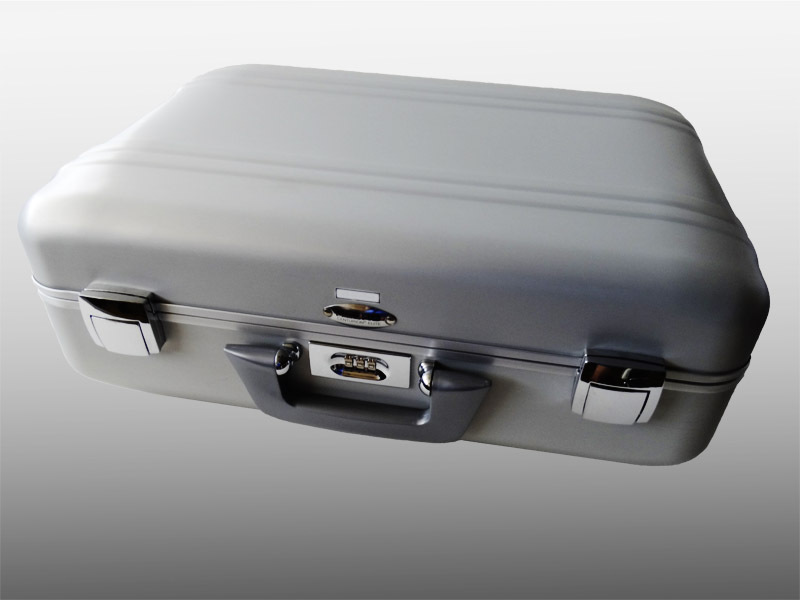 The Model VAD-16 1-in/16-out Audio/Video High Definition Distribution Press Box is useful as a hi def network feed, for courtrooms, sporting events, concerts, etc. 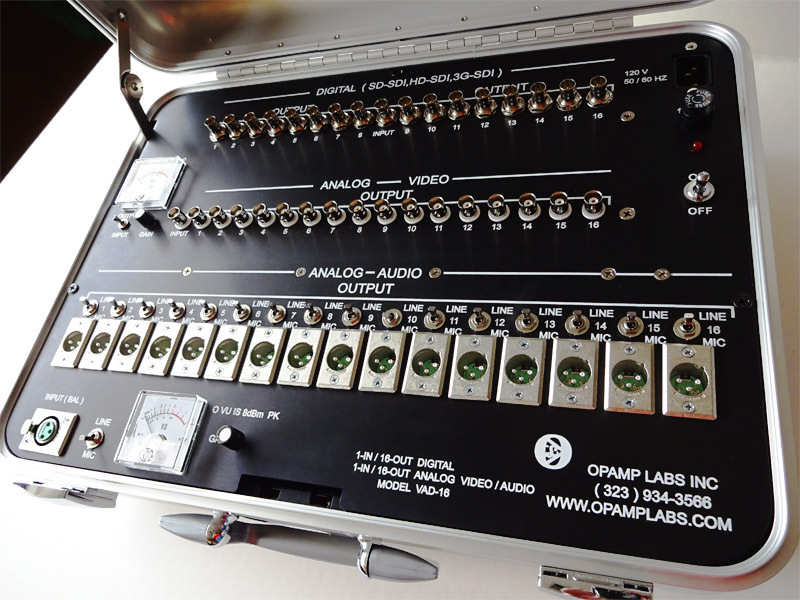 for up to 16 monitors, recorders, and amplifiers per section. 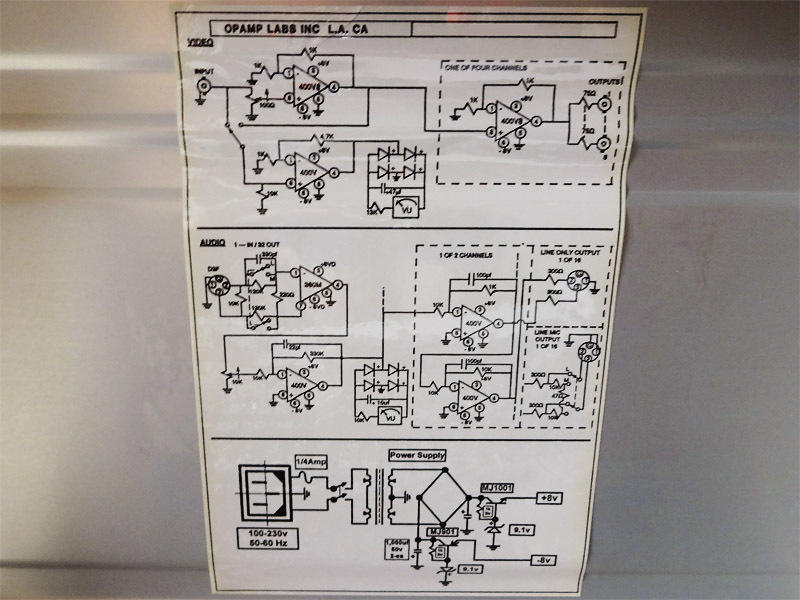 It can handle both analog and digital signals. 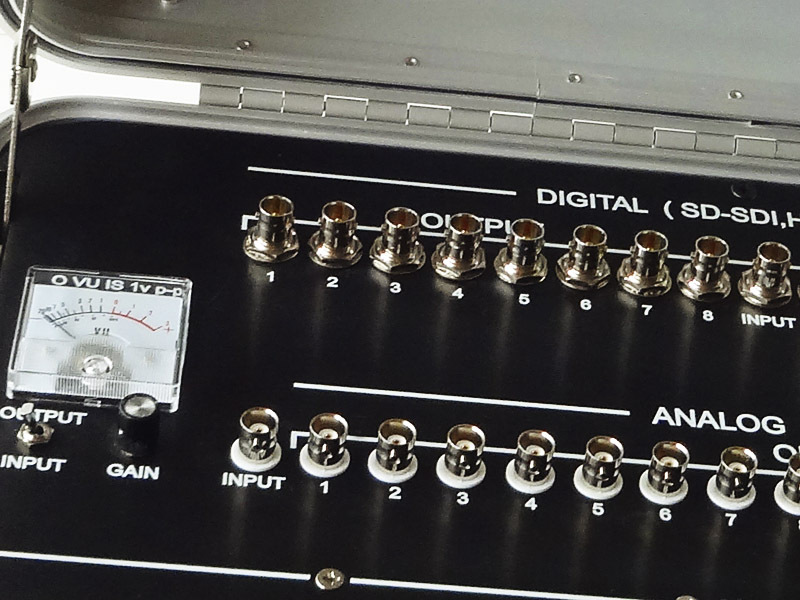 The Digital section is compatible with SD-SDI, HD-SGI, 3G-SDI signals. 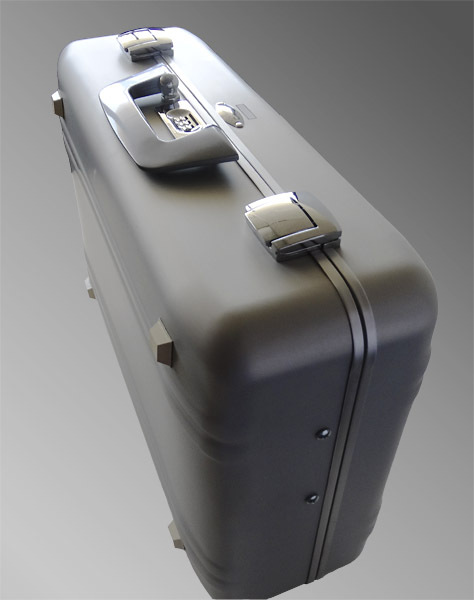 The unit is mounted in a portable, heavy-duty Zero Halliburton case. Available in both 110v and 220v versions. 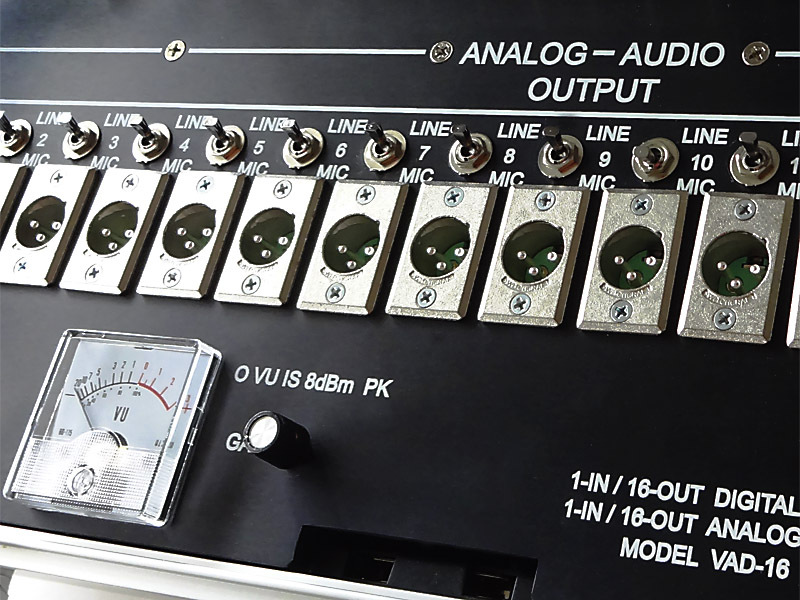 NOTE that for digital signals on the VAD-16 Hi-Def Audio Video Distribution Press Feed Mult Box, the video and audio are combined (no separate audio connections).